Named for band leader and singer-guitarist Avi Salloway’s grandmother (who went by the nickname “Billie”) the band Billy Wylder brings a stripped-down update to the South African/Western pop stylings pioneered on Paul Simon’s 1986 album, Graceland. This Friday, the Cambridge, Massachusetts-based brings their buoyant sound to BSP as the middle of a three-band bill topped by Rosendale’s M’Bollo. 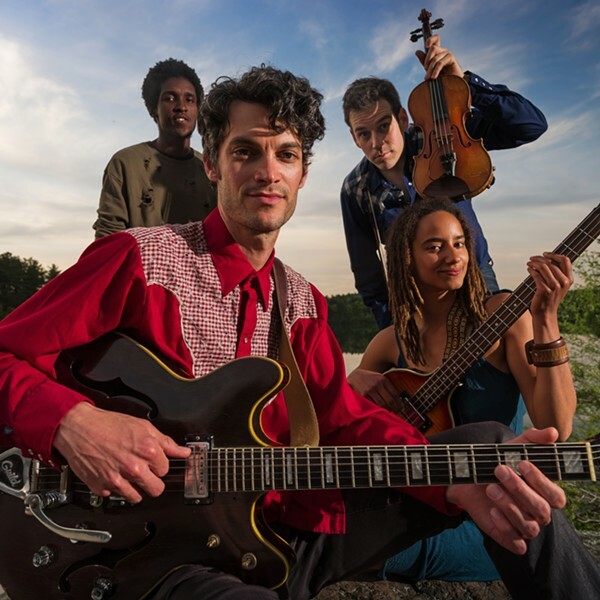 Salloway has been schooled by some of the masters of Western folk and African traditional music, learning to play from Pete and Mike Seeger and touring with Nigerian guitarist Bombino. Billy Wylder’s newest album, 2018’s socially aware Strike the Match, has been described as “Andrew Bird meets Ali Farka Toure, Pete Seeger, and Talking Heads.” The disc was recorded at the Low Anthem’s Eyeland Studio in Providence, Rhode Island. M’Bollo, Billy Wylder, and Datura Road will perform at BSP in Kingston, New York, on March 29 at 7:30PM. Tickets are $10. For more information, call (845) 481-5158 or visit http://bspkingston.com/.